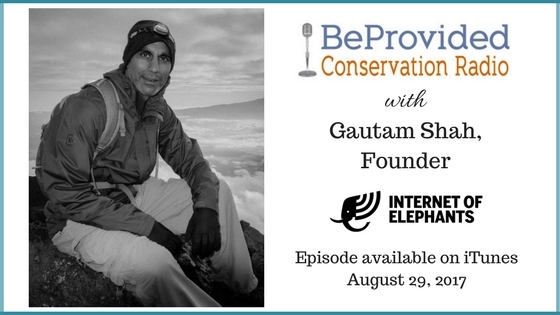 Like many of us passionate about wildlife, Gautam left a perfectly good job of 20 years as an IT consultant with Accenture to devote his life and career to seek out alternative approaches to support wildlife conservation. He is now combining his passion with his technical experience in the creation of The Internet of Elephants, a social enterprise located in Nairobi Kenya. He is collaborating with technologists, conservationists, educators, game designers and strategists to help create a stronger connection between people and wild animals.